How Fast Is the 2016 MX-5? At CorkSport, we can’t wait for the new 2016 MX-5. 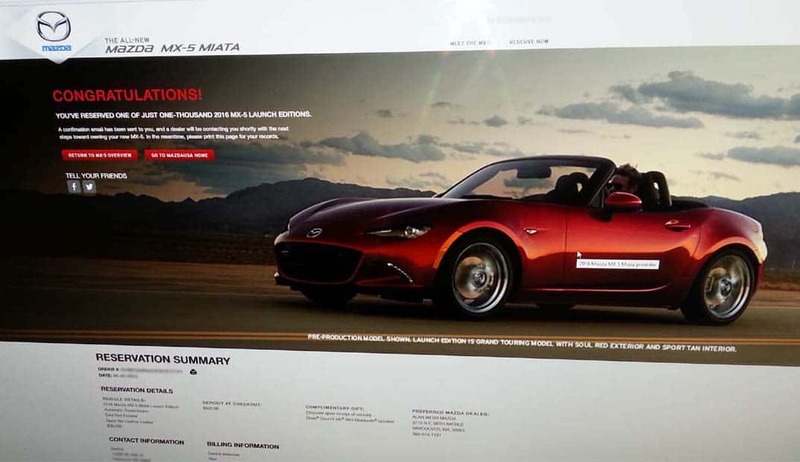 We pre-ordered ours as soon as the sale went live, and we’ve been planning new Miata parts and upgrades since we first heard about the launch. The actual R&D has to wait until we have the MX-5 in our garage, but that hasn’t hampered our excitement—especially when we read the reviews of the lucky first drivers, who all love the car’s new updates. We love speed, power, and handling at CorkSport, and most our products are designed to give your Mazda the most boost and control possible. From all of its initial reviews, it sounds like the new MX-5 engineers had similar aspirations, and from the videos we’ve seen, it looks like they succeeded. Mazda UK just released a test drive video, showing how the new 2016 MX-5 compares to the original 1990 MkI. Given how much has changed in engine technology over the past 25 years, they gave the original a nice 4-second head start, just to make things fair. The result reveals the beauty of both designs—and promises viewers that the new Miata will be just as fun (and great) to drive as the first one. If that doesn’t make you want to hit the track in a Miata, nothing will. We can’t wait to do tests of our own, so stay tuned.